Taste buds are as individual as fingerprints. This might seem to indicate that predicting what people will order at restaurants is doomed to fail. Nevertheless, there is such thing as regional flavor, and I thought it might be interesting to ask local chefs if there is a South Bay taste. 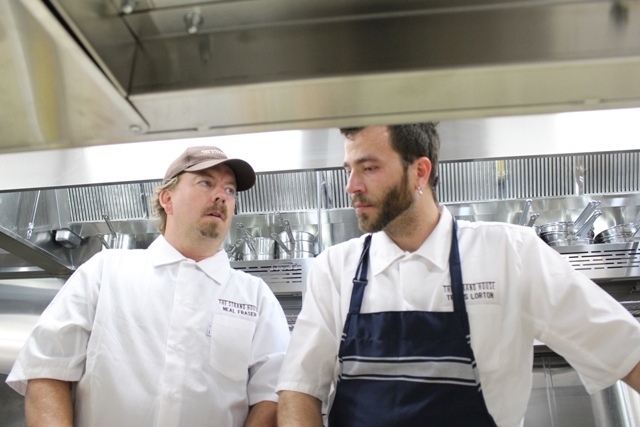 I was particularly interested in the views of chefs who moved here after being successful elsewhere. Every one had stories about dishes they thought would be blockbusters but flopped, and others that became surprise hits. David LeFevre of MB Post was pretty sure people would like his bacon-cheddar biscuits, but was surprised when they became his top seller. The theme at MB Post is shared small plates of endless variety, which LeFevre started doing for aesthetic reasons but found to be a practical advantage. The shared food idea has had one unexpected downside, a category of food that isn’t popular no matter how well it’s made. LeFevre also said he sells fewer desserts than he expected to, which may be because locals are health conscious. Which does LeFevre chose when he goes out to eat locally? Asked whether he’d run his restaurant differently if it were in the trendy West Side or downtown areas, LeFevre answered in the negative. Around the corner at the Strand House, Executive Chef Neal Fraser has detected a slight difference between the South Bay and the West Side. Fraser admits that’s not what he expected, and he underestimated his audience before he got here. The Strand House is only yards from MB Post and would seem to compete for the same clientele, but Fraser perceives a big difference in the culture of dining. Many of those entrees involve exotic meats, and, with one exception, they’ve gone over very well. On the other hand, an arcane cured meat item has been the surprise hit. Michael Fiorelli of Mar’Sel at the Terranea in Palos Verdes has had a similar experience when it comes to exotic meats – with one exception. 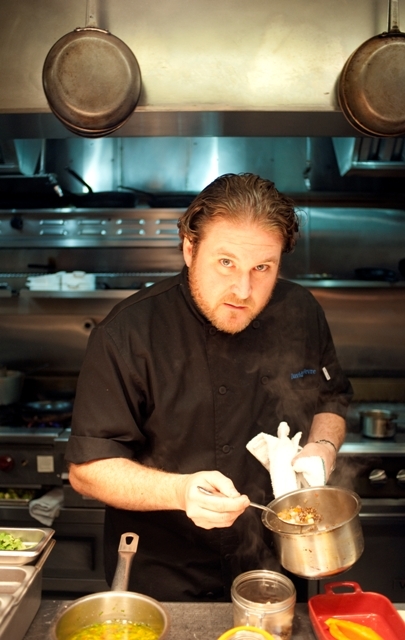 Fiorelli thinks that he and other South Bay chefs are benefitting from media that have put obscure dishes under the spotlight. Diners are also health conscious, right up to the point where they actually order something. Asked about introducing new items to the relatively conservative Peninsula dining scene, Fiorelli reveals a careful strategy. Asked about whether he has had the same experience LeFevre had in selling few desserts, Fiorelli showed another difference in local culture, and also remembered a surprise success. Hermosa Beach seems to be much more of a trend-driven town than the peninsula, but restaurateurs there reported that they have trouble selling the most adventurous items. 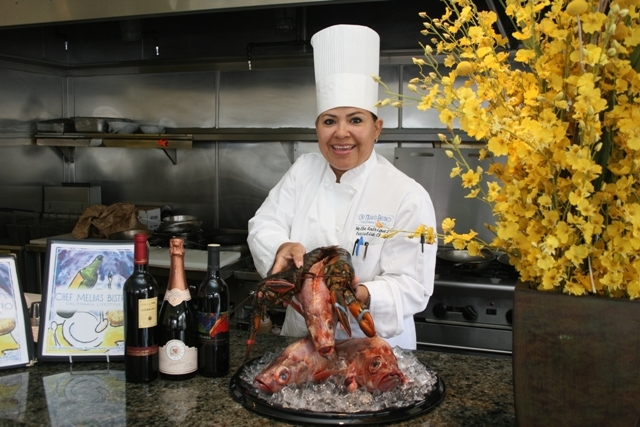 Melba Rodriguez of Chef Melba’s said that despite the young crowd that parties a few blocks away on the plaza, locals are sometimes wary of unfamiliar items. On the other hand, there is a mystique about some items, like Kobe beef, that helps diners overcome their initial reservations. Asked if there is a South Bay palate, Melba echoed Neal Fraser’s observations. Asked about small plates versus traditional dining, Melba says she sees a mix. Hermosa as a conservative bastion seemed unlikely, but Zane Koss of Zane’s confirmed that the town prefers simple dining. He opened an Italian restaurant at what might seem like a perfect time – just before a surge of interest in that cuisine. Zane is convinced that something about the soul of Hermosa makes people prefer simplicity. If it’s surprising that Hermosa is conservative, adventurous dining at a Redondo waterfront hotel restaurant might seem stranger, but Jesse Souza of Baleen says that the stylish items are the big sellers. Souza doesn’t think that Redondo is particularly interested in the wilder edge of contemporary cuisine. 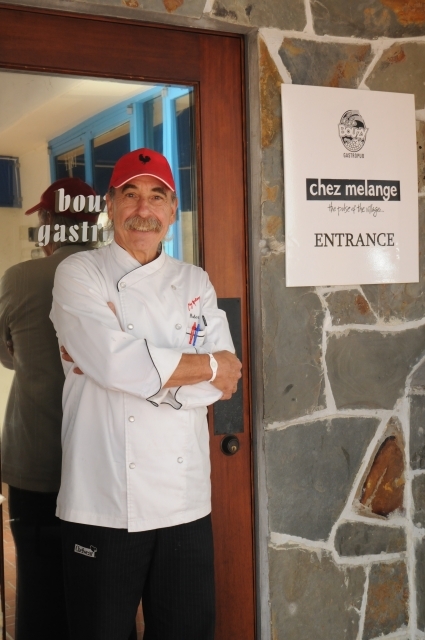 The restaurant that has been at the forefront of local dining trends for decades is of course Chez Melange, where chef Robert Bell has made hits of some very unusual items. Bellhas a current passion that unfortunately hasn’t caught on with diners. Bellhas also noticed the South Bay’s wariness about salt, and he has an answer. Asked about the South Bay palate, Bell echoes both Zane and Souza: simplicity is the future, at least in the short term.